The operatic concert performance is an odd beast. Heroes and villains rub dinner-jacketed shoulders like a police line-up after an Ascot brawl, while women in ball gowns occasionally sweep on and off (such dresses being less than practical for fisticuffs). Some manage to convey a sense of drama despite the cummerbund; others, reduced to fatally mortal proportions, rely on their voices alone. And with the orchestra excavated from its opera-house pit, the conductor fully on view, and the chorus always in oratorio-esque attendance, the message to the audience is black and white: no spectacle here, this is TMI – The Music Itself. For those who don't know the piece (overture aside, of course) – and I'd imagine that at last night's Prom, that meant most of those attending – Rossini's Guillaume Tell is quite some music. Light-years from the comic oompahs of Il barbiere and other Italian-language operas, Tell provides rich terrain for spot-the-influence (a game being played with some enthusiasm in the interval-length queue for the ladies' loos). Contrary to claims in the programme book, it's absolutely not a staple of the opera house; at least in part because, like the other grand operas it spawned, there's an awful lot of TMI. A good three hours' worth, in fact – and that doesn't include intervals. Yet despite such energy-sapping length, and without much visual or dramatic stimulus to enliven the more static moments, the time flew by. The RAH is not an easy space in which to sing – balance and diction in particular are inherently problematic – but there were some first-rate vocal performances. John Osborn and Malin Byström were excellent as the star-cross'd lovers Arnold and Mathilde. Byström's dark-hued soprano plumbed the emotional depths of 'Sombre forêt' (her Act II avowal of love) and relished the pyrotechnics of her later confrontation with its political impossibility, while always conveying an impressive sense of drama across the sea of evening dress. Osborn, ever-heroic in tone, scored the singular coup of sudden and complete audience silence: coughing fits ceased, and stoic promenaders – on their feet for nearly four hours by this point – stood still for his moving and highly polished reading of Act IV's 'Asile héréditaire', before erupting in appreciation at the end of the scene and its detonation of ringing high Cs. As Tell, Michele Pertusi brought dramatic gravity even where vocal weight was lacking: like his fellow Swiss conspirators Matthew Rose (Walter) and Frédéric Caton (Melchthal), lower notes tended to disappear dome-wards or simply get lost beneath the orchestra. The appearance of Mark Stone (Leuthold, a herdsman – this is Switzerland, remember) injected much-needed vocal energy after a slightly lacklustre opening launched by Celso Albelo as Ruodi (an intoxicated but local-colour-bearing fisherman), whose light tenor sounded strained. As Austrian arch-baddie Gessler, Nicolas Courjal, although unfocussed at times, was always powerful; Carlo Bosi (his sidekick Rodolphe) lacked the vocal swagger necessary to the role. Patricia Bardon as Tell's wife Hedwige and Elena Xanthoudakis, in the en travesti role of his son Jemmy (she was trouser-clad, in case we hadn't read the small print), were reliable in ensembles in the first half of the opera, while Xanthoudakis shone as much as the part allowed in the short solo passages later on. 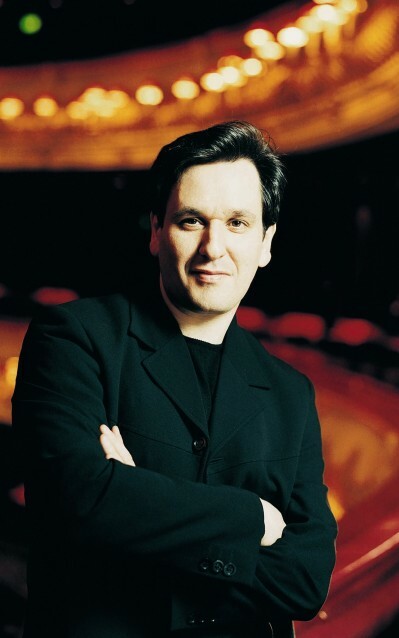 Perhaps inevitably, though, it was the Orchestra and Chorus of the Academy of Santa Cecilia, Rome, and above all their conductor Antonio Pappano, who stole this particular show. The chorus – especially the male chorus – provided atmosphere against the odds, their diction in quiet passages almost miraculous. Similarly, the orchestra sounded thoroughly committed to the performance, with on-the-money solos throughout. Even an ensemble of distant ringtones failed to disrupt the opening cello quintet, while the 'cowbell' horns, scattered across the upper levels of the RAH, finally took advantage of what might be politely termed the space's unique acoustic properties. Centre-stage, though, was Pappano (the only performer not in evening dress), who danced his way through the evening, his reading of the score always stylishly articulated, tightly controlled and endlessly enthusiastic.